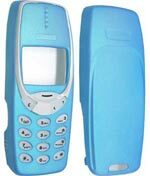 We carry a full line of Nokia 3390 accessories and Nokia 3360 accessories: Nokia 3360 Accessories and Nokia 3390 Accessories. 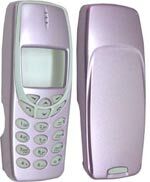 All of our Nokia 3390 accessories and Nokia 3360 accessories are made of the highest quality plastics and all Nokia 3360 and Nokia 3390 covers come with front faceplate cover, rear battery housing case and a set of high quality translucent buttons. And with the Nokia Quick Snap-On cover changes, changing your Nokia 3360 and Nokia 3390 accessories are easier than ever. Apex Cellular also offers the lowest price on all shipping of our Nokia 3390 accessories and Nokia 3360 accessories: a flat rate of just $1.99 for any quantity, anywhere in the United States on all of our Nokia 3390 accessories and Nokia 3360 accessories.